Our fantastic range of extendable artificial hedging is a perfect idea if you want to instantly transform any small or large areas. It’s so easy to install with the hedging placed on a lattice framework which simply extends to create a square piece of hedge area. Use them to create an attractive private environment. 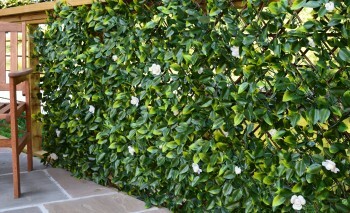 Ideal for gardens, yards, swimming pools and terraces or transform unsightly areas. 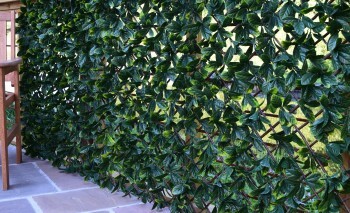 A simple and effective hedge screen. 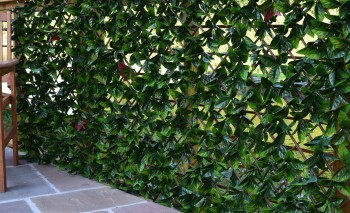 Easy to install, it extends to create an attractive private environment. Grosvenor Grass do not only offer a great selection of quality products, free delivery and a super fast delivery service but we can also offer you excellent prices on all our artificial products.